Police said they found Owen Bechdel, 20, of Karthaus, in possession of marijuana and paraphernalia on Sept. 5. Charges have been filed. Police said they arrested a 42-year-old Philipsburg woman for DUI after a traffic stop at the 700 block of Flat Rock Road in Worth Township on Oct. 16. Police reported that they found controlled substances in her vehicle. Police said they are investigating an incident in which suspects sent, forwarded, or posted intimate images of a Bellefonte woman on social media Oct. 17. Police said they were involved in a pursuit of Anthony Bower, 43, who fled from police on a Honda motorcycle on South Eagle Valley Road and Mudlick Road in Huston Township on Oct. 21 at approximately 2:32 p.m. Bower was arrested and charged with felony fleeing and eluding, along with numerous traffic violations. Police responded to a crash on U.S. Route 322 in Potter Township on Oct. 21 at 4:08 p.m. Paul McClosky of Philipsburg was traveling east on the road when his vehicle gradually went off the southern shoulder, crashed into a mailbox and continued traveling into a construction area, police said. McClosky’s vehicle traveled approximately 100 feet into the construction area and then fell down a steep embankment 20 feet before overturning onto its passenger side an unknown number of times before coming to rest on its wheels at the bottom of the embankment. McClosky was transported to Mount Nittany Medical Centre by Penns Valley EMS. McClosky was charged with driving under the influence of alcohol/controlled substances. Police said they arrested Brian Eshelman, 52, of Woodward, on Nov. 12 for an alleged DUI on Jackson Hill Road and Pine Creek Hollow Road in Haines Township. Police reported that a Milesburg woman was traveling on Interstate 80 during a snowstorm Nov. 15 when a red tractor with a white trailer and unknown markings sideswiped the mirror and rear passenger side of her car, causing minor damage. After impact, the tractor-trailer continued traveling northbound. Police arrested a 33-year-old Beech Creek woman who was allegedly found to be in possession of drug paraphernalia on North Eagle Valley Road in Beech Creek on Nov. 20. Police said that a hunting rifle was left in a parking lot off Huckleberry Road approximately one mile from Casanova Road in Rush Township on Nov. 29 at approximately 11:30 a.m. The rifle is a Sturm, Ruger and Company Inc., AKA Ruger Southport CT Winchester Short Mag with Leupold Scope with a value of $450. Anyone with information is asked to contact police at (814) 355-7545. On Dec. 1 police received a report of criminal mischief on Back Street in Curtin Township in which three unknown white males are suspected of causing $200 damage to a truck. Anyone with information is asked to contact police. Police said they arrested Gopal Chuwan, 32, of Lancaster, for suspicion of DUI during a traffic stop on the Port Matilda Highway in Rush Township Dec. 1. After being dispatched to an altercation between two men at the Mini-Mart at 321 N. Front St., Philipsburg, police determined that Michael Williams, 26, of Philipsburg, had stolen $402 from the other man as he had fallen asleep. Police arrested Williams and returned the money at the scene. Williams was charged with theft and placed in Centre County jail awaiting arraignment. 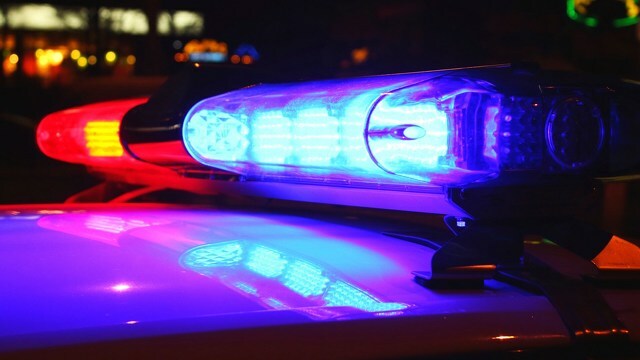 Police arrested Allen Hockenberry, 19, of Clearfield, and Heidi Read, 24, of Irvona, after they were initially stopped when Hockenberry was seen committing a traffic violation on SR 53 in Decator Township, police said. Police said they determined that Hockenberry was DUI and that they found Hockenberry and Read to be in possession of suspected methamphetamine, marijuana and related paraphernalia.